Last Wave Originals has become great friends with the Save The Waves Coalition! 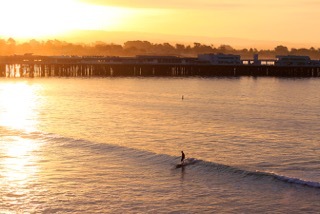 Based in Santa Cruz, California, the Coalition’s mission is to protect and preserve worldwide coastal ecosystems with a focus on the surf zone. Save The Waves (STW) is the only nonprofit dedicated exclusively to conservation of surfing coastlines on an international scale. Its vision is a world in which waves and coastlines are cherished and protected, with surfing providing the vehicle for long-term coastal conservation. STW works in several ways. First, its World Surfing Reserves program provides a global model for preserving surfing areas by protecting key environmental, cultural, economic, and community attributes. Current international reserves can be found in Brazil, Australia, Chile, Mexico, Peru and Portugal. 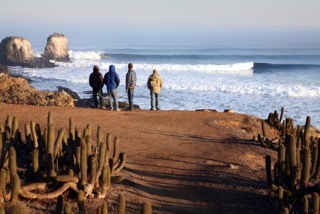 Santa Cruz and Malibu are home to domestic reserves. Another cool way STW wo rks is through its Surfonomics program. The Coalition helps determine the economic value that surfing brings to local communities near each surf spot. With this information, local decision makers can make choices that consider the importance of protecting their coastline. Finally, STW’s Endangered Waves program operates at the grass roots level. When an epic surf spot or primo coastline is threatened by poorly planned development, STW mounts campaigns to educate the locals and help them take direct action against such growth. Last Wave supports the efforts of STW and you can too! Check out their website at savethewaves.org. You can make a one-time donation, become a STW member, donate airline miles through its Waves for Miles program, or become a volunteer. You can also support its efforts by buying a STW t-shirt from Last Wave!! Partnering with STW, Last Wave donates $4 from each shirt sold right back to the Coalition on your behalf…a great way to make a worthwhile donation and get a cool tee! Thanks, everyone. We just wanted you to know about Save The Waves. They are a great group of people on a very important mission.